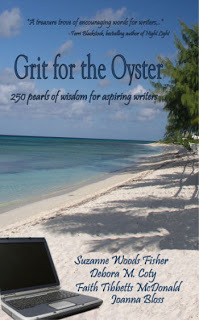 Grit for the Oyster: 250 Pearls of Wisdom for Aspiring Writers is an upcoming book by Suzanne Woods Fisher, Debora M. Coty, Faith Tibbetts McDonald, and Joanna Bloss. I fell in love with it when Suzanne told me the title and I immediately asked her to share it with me and you. 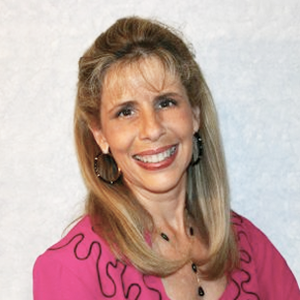 She and her co-authors put together the following interview for you. A link to a great excerpt is provided at the end of the interview. It’ll have you running out to buy the book. Baba: Would anyone care for another latte? Faith: Absolutely. I never say no to a latte. Suzanne: Oh, my gosh! I love lattes. Debora: I’ve already got a monster caramel-mocha mustache. Is there any more Godiva? Baba: So what’s it like for four gals to co-author a book? Any cat fights? Squalls? Secret cliques? Pajama parties? Faith: If it was up to me, I’d probably still be wondering if the manuscript was good enough to send off to the publisher…it’s hard for me to take that step. But Suzanne’s drive, Deb’s enthusiasm and Joanna’s zest inspired me again and again. It was really fun to work with these girls. Joanna: And I think our variety of perspectives added something-we’ve got very different personalities, levels of writing experience, and live in four different parts of the country: the northeast, south, mid-west and Pacific coast. Baba: I know Grit for the Oyster was your baby, Suzanne. How was the idea birthed? Suzanne: The idea came out of a need. As I was trying to figure out how to break through into book publishing from magazine writing, I kept wishing there was some kind of guide to let me know what felt normal (discouragement) and what I needed to do (persevere). I went to a writers’ conference and met Deb and Faith; the idea to share the book grew out of that conference. A blessed moment! Baba: Word is that tons of famous authors contributed exclusive tips on how to be successful. Is this true? Debora: We’re excited to include writing tips from amazing authors like Liz Curtis Higgs, Dr. Gary Chapman, BJ Hoff, James Scott Bell, Athol Dickson, Rhonda Rhea, Dr. Emerson Eggerichs, Phil Callaway, Karol Ladd, and many others. And we couldn’t be more thrilled to have lovely endorsements from best-selling authors Terri Blackstock, David Kopp, Linda Danis, and Ruth Carmichael Ellinger. Oh, and the foreword is penned by none other than Sally Stuart. Baba: Okay. Say I’m interested in spilling my life story in print. Or writing the great American novel. How will Grit for the Oyster help me get started? Joanna: Grit is chock full of practical advice on taking the first step and then putting one literary foot in front of the other until your goal is achieved. We believe if God calls you to write, you won’t be able to ignore that still, small voice. Grit for the Oyster is a tool to help you follow that calling. Baba: What aspect of writing this book affected you most on a personal level? Faith: Good question. I think the fact that Suzanne and Deb have been so willing to share their publishing experience and success has impacted me most. To honor their willingness to share, I go out of my way to look for other writers so I can share, too. Also, over the months of working on this book we have prayed for each other during difficult times and that support network has strengthened me. Baba: What information in Grit do you think will be most helpful to your readers? Debora: Finding out they’re not alone in the peaks and valleys that all writers face…finding your voice, rejection, writer’s block, rejection, understanding the way the industry works, rejection, isolation, rejection, time management. Um, did I mention rejection? Baba: Besides nuts and bolts of honing writing skills, some of the chapters offer very personal insights into the triumphs and tragedies of the literary journey. I know you girls have been there, done that. Care to comment? Suzanne: Before I worked on Grit, I decided to give myself a year of very dedicated effort to see if I could break through and snag a book contract. I started small, with achievable goals, and ended that year with a contract with a small publisher…and a wonderful agent. Looking back, I think God led me down that path. Not with overnight success, but just enough success to keep moving forward. A few years later, I’m quite, well, let’s say my calendar is filled up for a while with book contracts. Baba: Where can we find Grit for the Oyster and learn more about you ladies? Joanna: Signed copies can be obtained at the Vintage Spirit website: www.vrpublishing.com, or through the authors’ websites: www.suzannewoodsfisher.com, www.DeboraCoty.com, or http://joannabloss.blogspot.com. Grit can be ordered through Amazon or bn.com, your favorite bookstore, and will be available at many upcoming writers’ conferences. Baba: So what’s up for the future? Will there be any more Grits? Debora: Mmm. I like ‘em with cheese and a dash of salt. Debora: Oh, you mean books! My upcoming releases are Billowing Sails, (12/08), sequel to VRPublishing’s 2007 best-seller, The Distant Shore, followed by Mom Needs Chocolate: Hugs, Humor and Hope for Surviving Motherhood (3/09, Regal), and Everyday Hope (8/09, Barbour). And I’ll be in a calendar (don’t worry – not in a bathing suit!) coming out in 2010 called 365 Days of Heavenly Humor. Joanna: My Power Prayers for Grads will be released in 2009 by Barbour Books. Suzanne: I’m still a little dazed…but I don’t know when I’d have time for more Grits. I have five books under contract: For the Love of Dogs (Vintage Spirit 2/09), Amish Peace in an English Life (Revell/Baker Spring 09), then three novels under contract with Revell/Baker…still to be written. On the other hand, all of life is grit for the oyster…so who knows?